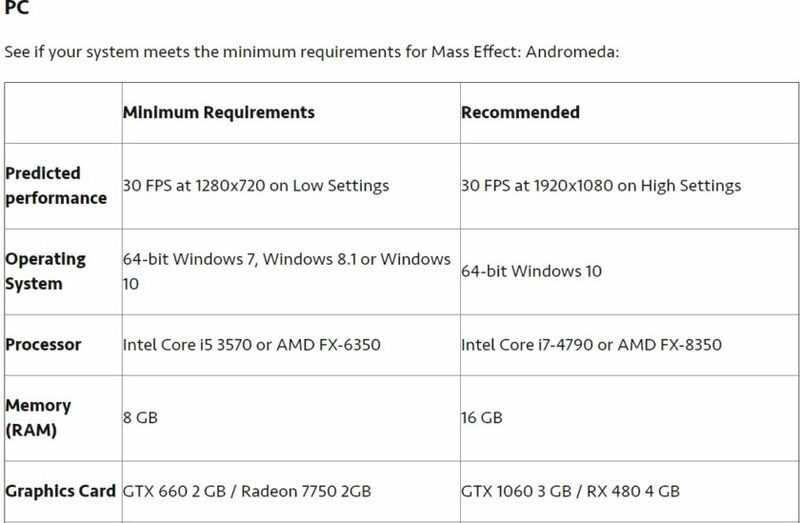 Is Mass Effect: Andromeda Much Heavier on Your PC Than Other Frostbite Games? 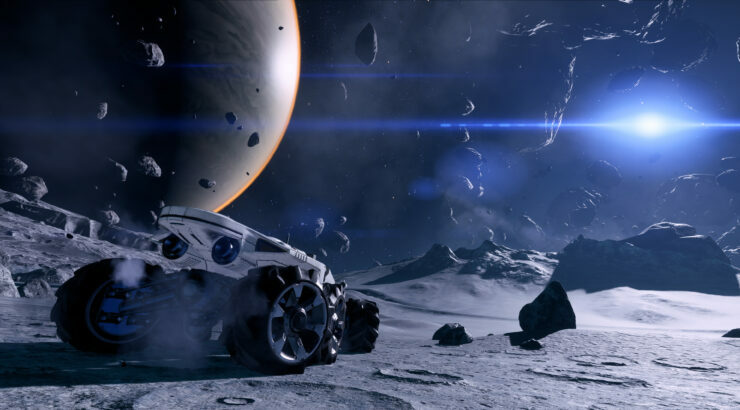 Mass Effect: Andromeda is undoubtedly one of the most anticipated games due for release this year. Powered by the Frostbite engine, Its launch is scheduled for March 21st in North America and March 23rd in Europe for PC, PlayStation 4 and Xbox One. As is customary, last week Electronic Arts revealed the official system requirements for the PC version. However, there was no indication of the target resolution and frame rate for minimum and recommended requirements. This information only came to light via this particular Help Desk page, which clarifies that Mass Effect: Andromeda’s minimum requirements will allow you to play at 1280×720@30FPS on Low settings while the recommended ones are targeting 1920×1080@30FPS on High settings. Needless to say, this is quite the disappointment on paper. Games powered by the Frostbite engine, like Battlefield 1 or even Bioware’s own Dragon Age: Inquisition, are known for running smoothly on most configurations. 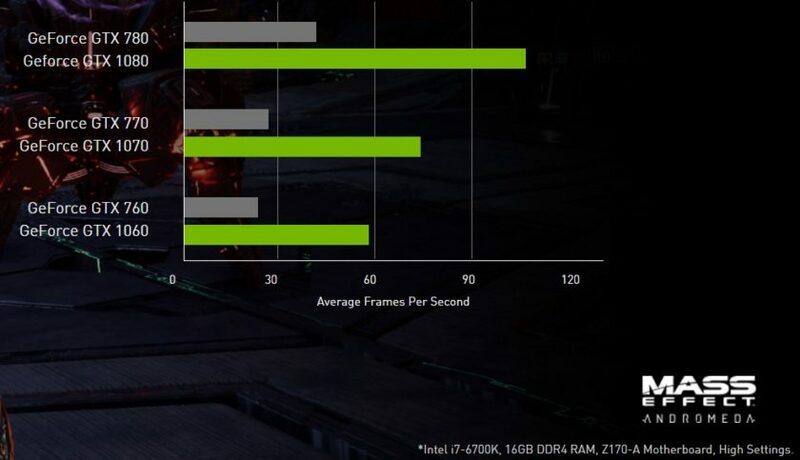 If that predicted performance turned out to be correct, there would be little hope for even the mighty 1080Ti to run Mass Effect: Andromeda at 4K resolution on max settings at an acceptable frame rate. There is hope, however. NVIDIA provided a different performance outlook for its GTX 1060 card on this page. Here, we can clearly see the GTX 1060 being very close to 60FPS on average at High settings. For now, then, Mass Effect: Andromeda’s performance on PC remains a mystery. While we wait to get our hands on the game for a full performance and gameplay report, you can check out the full breadth of graphics settings as well as a new multiplayer video that shows the character customization available in this mode. The game will support HDR technology as well as NVIDIA Ansel to take 2D, 360° and VR 360° screenshots of the highest quality. If you have a subscription to Origin Access, you’ll be able to start playing the game – albeit for a limited amount of time – on March 16th.